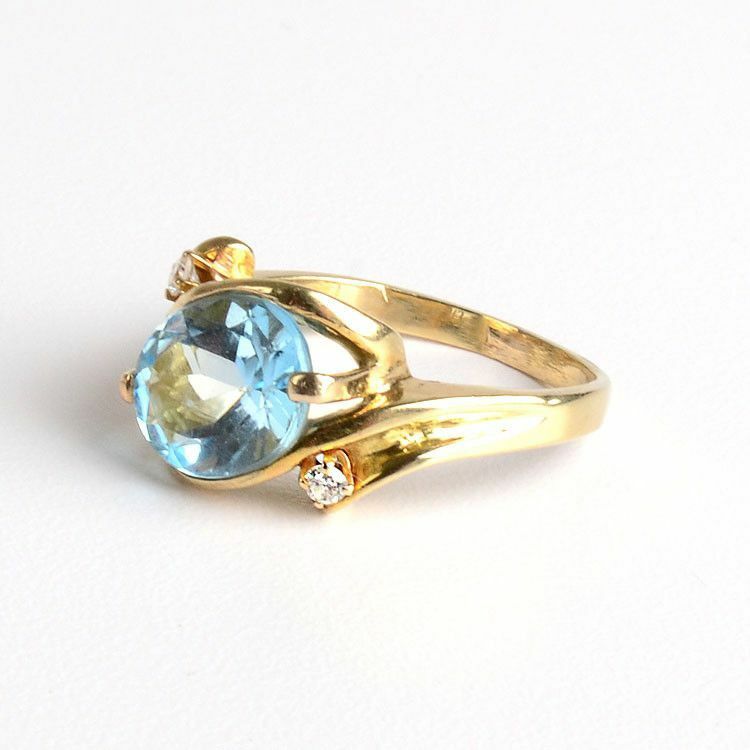 Aquamarine has been associated with foresight, courage, and happiness. 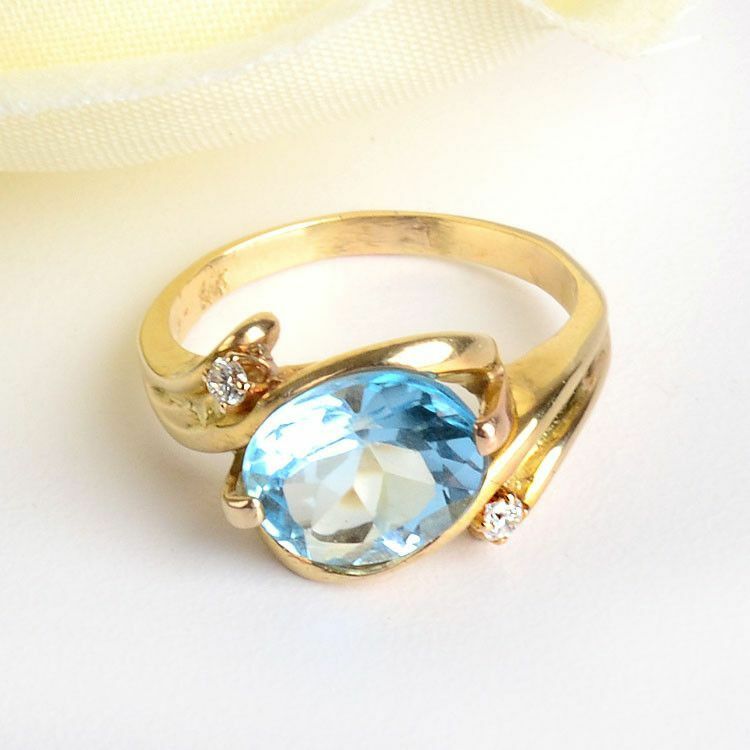 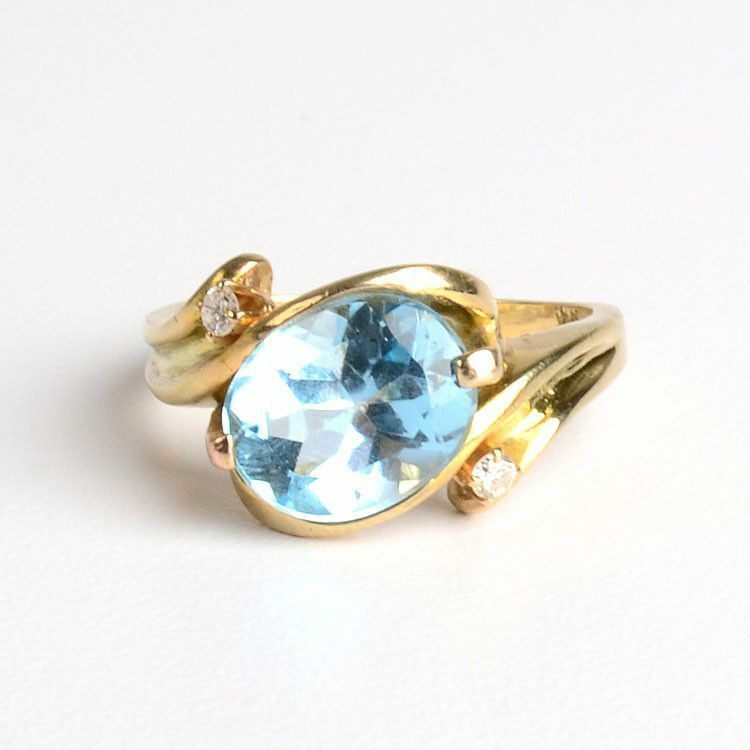 Its almost clear blue color sparkles wonderfully in this 2 prong setting ring. 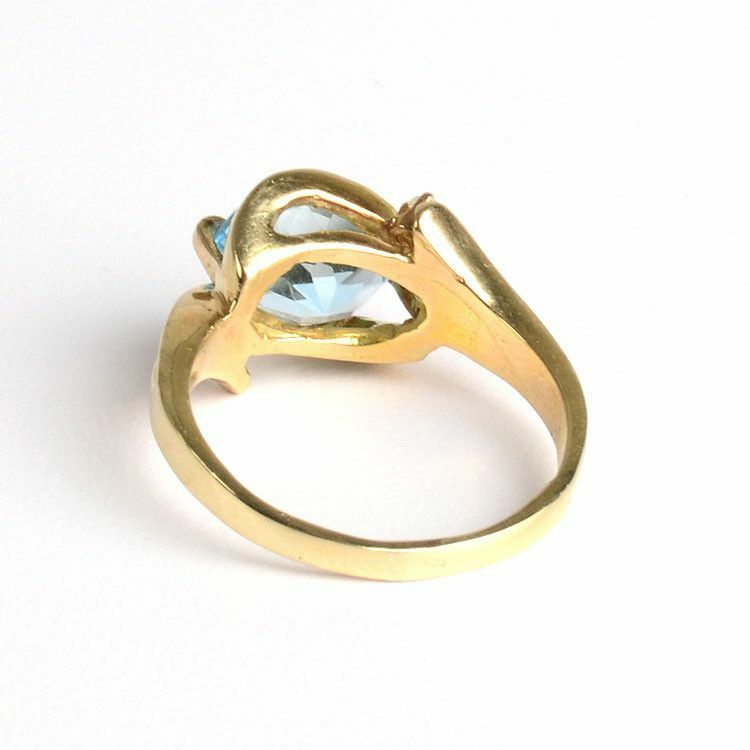 Stylized 14 karat yellow gold, and two small diamonds, accent and complete this size 7 1/2 ring.